Alpha Math Learning is a local Winnetka math tutor offering private instruction for students that are interested in sharpening their math skills. Alpha Math Learning is owned and operated by Mr. Patel. Mr. Patel is certified with the Illinois State Board of Education and American Tutoring Association. As a local tutor and private instructor in Winnetka, Alpha Math Learning is familiar with the curriculum's adopted by all of the local school districts for all grade levels. We maintain working relationships with many teachers in the local school systems, as communication with private tutors such as our selves and our existing clientele's teachers, is welcome by the School District. Most parents realize the importance of providing a solid foundation for their child's education. This is why Alpha Math Learning offers local math tutoring programs in Winnetka, IL 60093. We specialize in standardized test prep Math for ACT, PSAT, SAT; SAT-Math Level 1 and SAT-Math Level 2 subject tests and Algebra-I. If you are seeking a local home schooling instructor in Winnetka, IL 60093 to assist your student in furthering their education and math skills, then we can help. Public Schools include District 36, which consists of three elementary schools and two middle schools (Hubbard Woods, Crow Island, and Samuel Sewall Greeley). Elementary Schools serve grades kindergarten through four, students in fifth and sixth grades attend Skokie Middle School and students in seventh and eighth grades attend Carleton W. Washburne Middle School, named after educator Carelton Washburn. Winnetka's schools were modeled after Washburne's educational philosophy in an experiment called the Winnetka Plan. The town's schools continue to reflect his educational philosophy. 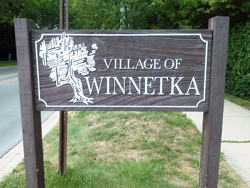 Winnetka is in New Trier Township, and public school students who reside in Winnetka attend New Trier High School for grades nine through twelve. Private Schools include Faith, Hope, and Charity School (K-8; Catholic), Sacred Heart School (K-8; Catholic), North Shore Country Day School (K-12; a prestigious academy that was ranked the third best private school in the city of Chicago in 2013), and Hadley Institute (for the Blind and Visually Impaired).